If you have planned a holiday away from your house this December, you might be considering hiring a house sitter. House sitters can be an affordable way to make sure your home, garden and beloved pets are looked after in your absence. When hiring a house sitter, Lizette Erasmus, head of insurance expertise at IntegriSure, advises that it is important to be aware of both the pros and cons of this option. “Choosing the right house sitter is vitally important as this person will have direct contact with the most valuable assets you have in your name for a period of time,” says Erasmus. The 2015 Crime Statistics, 714 households were burgled each day in the country, and highlighted a marked increase in violent property crimes. “With this in mind, having a house sitter as an added deterrent and safeguard for your property can be highly beneficial, and can offer home owners peace of mind while away from their property. However, it is also important to note that it is the ultimate responsibility of the homeowner and policy holder to ensure that the relevant and correct safety measures are already in place, to protect not only your own property, but also the house sitter,” she says. Erasmus explains that when choosing the right house sitter for you, there are some important things to consider. 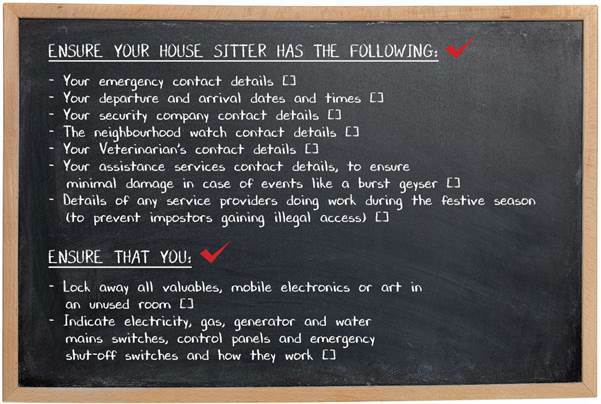 When it comes to reducing risks should something go wrong, such as a robbery or damages incurred as a result of the house sitters actions, it is always important to double check insurance cover provided in terms of your policy. “Specifically, enquire whether malicious damage as well as theft cover form part of the standard insured perils. 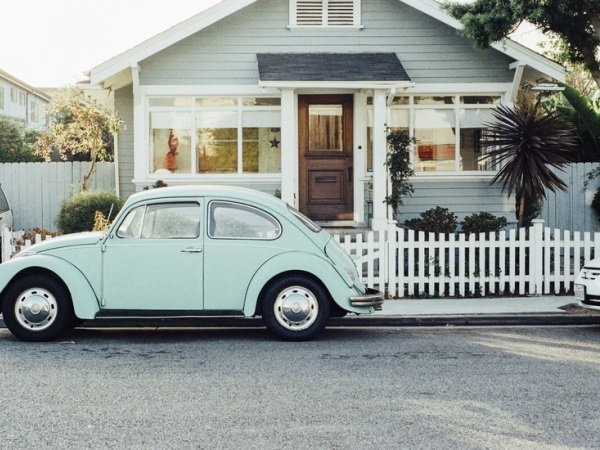 These are miscellaneous precautions worth considering before leaving for holiday or hiring a house sitter,” explains Erasmus. If you opt not to hire a house sitter, it is still important to note that insurers do require that the policy holder notifies them if you're going to leave your house unoccupied for 60 days or more. This is viewed as a change in risk and insurers may apply an additional premium for the period that your home is unoccupied. Erasmus recommends contacting your Financial Service Provider to review you cover before you leave to make sure you're covered while you're away. “Choosing to implement a house sitter during the December holidays is a good idea and will offer owners choosing this option a way to follow up daily on the situation at home. "Taking the above steps into consideration will assist in the process being easy and stress free, giving you peace of mind while you are away."